Decomposing complex design problems is an important component of design processes. When a design problem is too complex to solve all at once, the problem is decomposed into manageable subproblems. 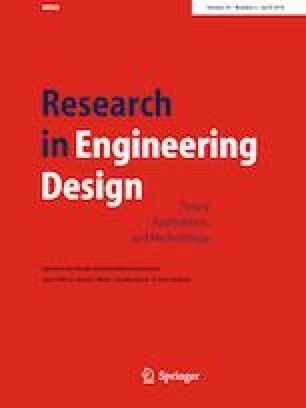 Previous work on design processes has identified some general decomposition patterns and has studied how individual designers decompose design problems; this study examines the way variables are grouped into subproblems, the process of decomposition, and whether small teams use similar decomposition patterns. Data were collected from five teams as they solved a facility design problem, and the subproblems that they considered were analyzed and compared. Using a mix of qualitative and quantitative analysis techniques, we examined (1) whether their subproblems group tightly coupled design variables (and separate weakly coupled variables); (2) whether their decompositions (subproblems and the sequence in which they were solved) follow a top–down design process; and (3) whether different teams used the same decompositions. 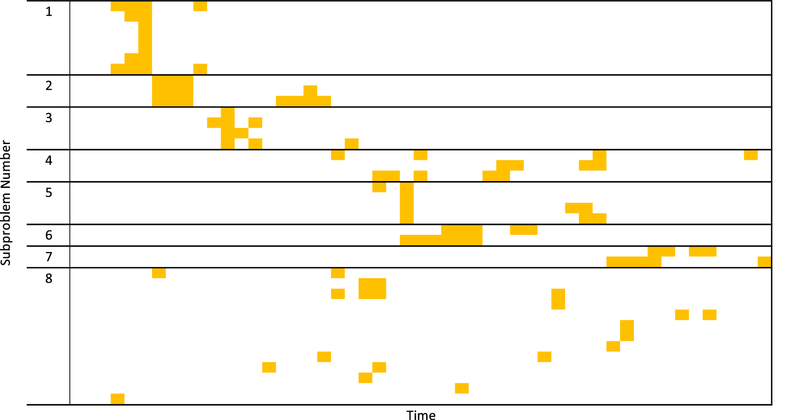 Our results suggest that teams followed a partial top–down design process that moved from breadth- to depth-first search, and that subproblems were often driven by two types of coupling among design variables. However, the inconsistency of observed approaches suggests that there is room for improvement in how human designers decompose problems. By identifying these issues, the results lay a foundation for future research to provide better support for human designers in decomposing problems. The research on human subjects described in this paper was conducted in compliance with ethical standards, with the approval of the Institutional Review Boards of the University of Maryland and the George Washington University. 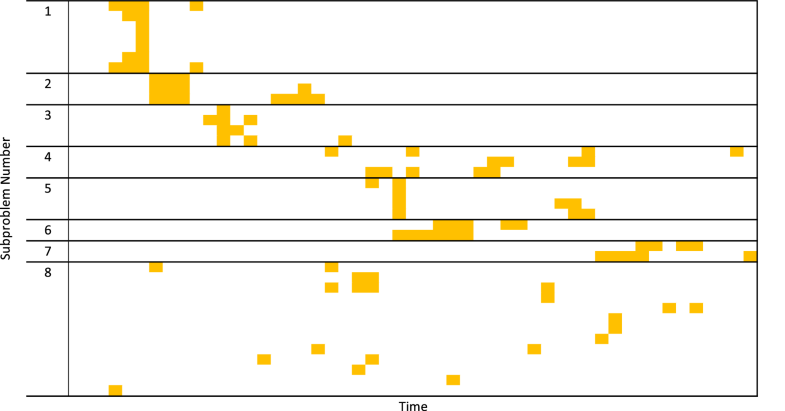 Figures 4, 5, 6, 7, and 8 show the timelines for all teams, including which variables were worked on at which times, and their clustering into subproblems. Table 8 describes all the subproblems found for each team, including which variables are included in each subproblem, a label and a description for each.